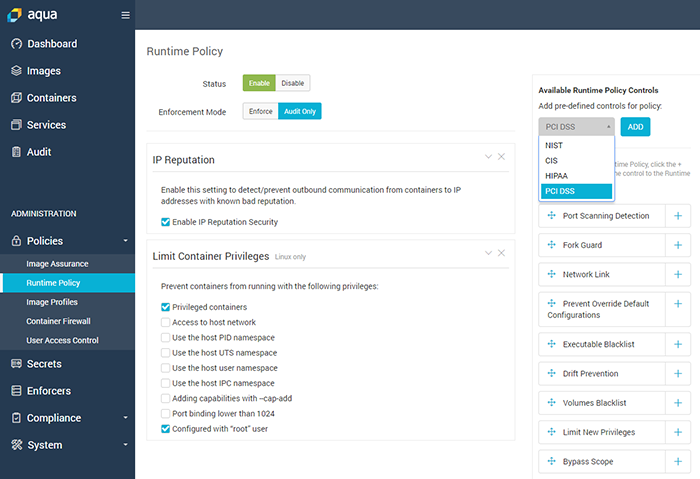 We recently released Aqua 3.2, where we rolled out key compliance controls pre-configured as out-of-the-box templates in our runtime policy. 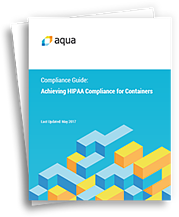 These templates provide starting points that address specific regulatory requirements, which admins can further tweak as they see fit - but we save them the hassle of starting from scratch. 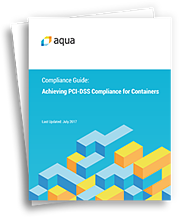 To achieve this, we mapped specific PCI-DSS, HIPAA, NIST and CIS requirements, translating them into actionable controls in the Aqua Runtime Policy. 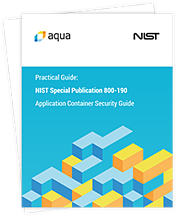 These compliance control sets are applied globally, across the board, to all containers, clusters, and nodes. User Access Control – Fine-grained access control model to enforce access privileges at the container level, from development to production, including custom and predefined roles, such as cluster admin, auditor, developer, etc. Any violation of the policy automatically generates an alert and is blocked if the policy is in Enforce mode. 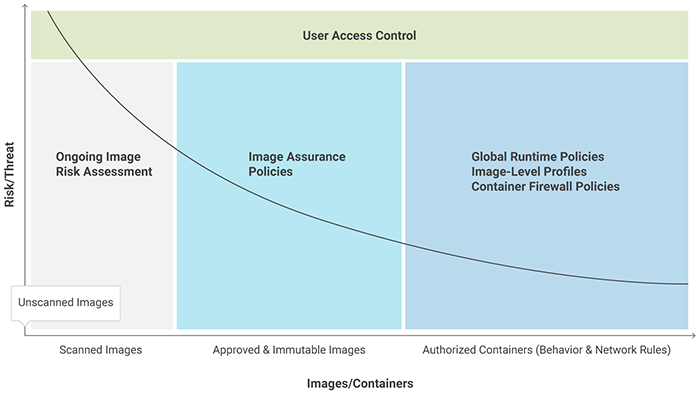 These controls are out-of-the-box compliance runtime controls specifically developed to help you translate sometimes amorphic, general requirements into specific container controls. 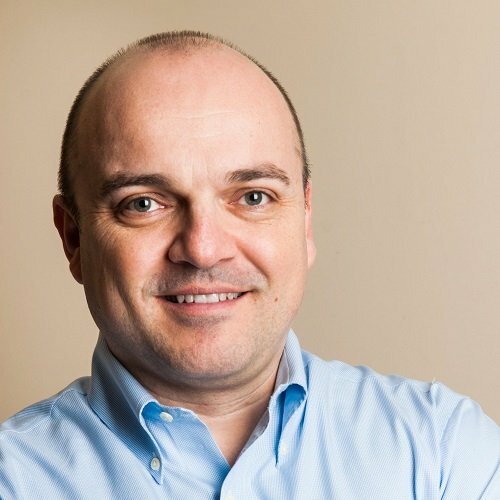 And because you define these policies at Aqua, if you plan on switching cloud providers, move from AWS to Azure or Google, or use a different platform, you can do this without the need to redefine your policies.